Students in ethnically Tibetan areas have demonstrated against the Chinese Government’s plan to teach classes only in Mandarin as it would seriously endanger Tibet’s linguistic and cultural heritage. Chinese officials tried to defuse discontent following days of student protests in ethnically Tibetan areas, saying a plan to teach classes only in Mandarin Chinese was not aimed at wiping out Tibet's native tongue, state media reported Saturday [23 October 2010]. Changes won't be forced in areas where "conditions are not ripe," the official Xinhua News Agency cited Wang Yubo, the Qinghai province education department director, as saying. The report did not elaborate on how officials would make that determination. The London-based group Free Tibet has said that hundreds, possibly thousands, of middle, high school and college students joined the demonstrations. For authorities, any sign of unrest among Tibetans is seen as a threat to national sovereignty and a reminder of past uprisings against China's often heavy-handed rule over the Himalayan region. No arrests or violence were reported following the student protests that began in the town of Tongren and soon spread to other communities in the western province of Qinghai, which is home to numerous minority ethnic groups, including Tibetans and Mongolians, who retain their own languages. There was also a similar protest on the campus of a Beijing university. The protests appear to have been sparked by remarks by Qiang Wei, Qinghai province's Communist Party chief, who was quoted last month by the Communist Party's official newspaper as praising the use of a "common language" in schools. A report on Qinghai's plans for educational reform over the next decade has said "the nation's common language must become the language of instruction." Students fear the government's plan means the current bilingual system will be scrapped in favor of using Mandarin Chinese alone, except in language classes. The goal of the policy is to bridge the education gap between China's various ethnic groups and promote development in ethnic minority areas, Xinhua said, citing an open letter issued by the Qinghai provincial government to all teachers and students on Friday [22 October 2010]. Authorities will respect the viewpoints of students and their parents before carrying out reforms, Xinhua cited Wang as saying. Xinhua also gave the first official confirmation that students had "expressed their dissatisfaction" in at least four Tibetan prefectures in Qinghai between last Sunday [17 October 2010] and Wednesday [20 October 2010]. Use of the Tibetan language is tied to the region's political struggles. 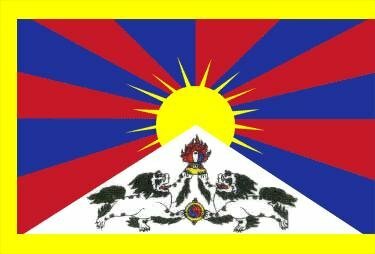 Many Tibetans argue they have traditionally been self-governing and that Chinese policies are wrecking their unique Buddhist culture. But the issue is complicated because while many Tibetans feel threatened by development and the migration of China's ethnic Han majority, some also hope their children master Mandarin in order to obtain better jobs. Beijing defends its policies, saying they spur economic growth in the largely poor areas. About 500 students at the Beijing campus of Minzu University of China, a leading institution for ethnic minority students, protested for language rights Friday. Pictures posted on Twitter showed a group of students carrying a banner saying "Protect ethnic minority languages, carry forward Chinese civilization." Brewing discontent with Beijing's policies exploded into deadly rioting in Tibet's capital Lhasa in 2008, then spread through traditionally Tibetan areas such as Tongren. The government says at least 22 people were killed in Lhasa, while Tibetan rights groups say nearly 140 Tibetans died in the violence.